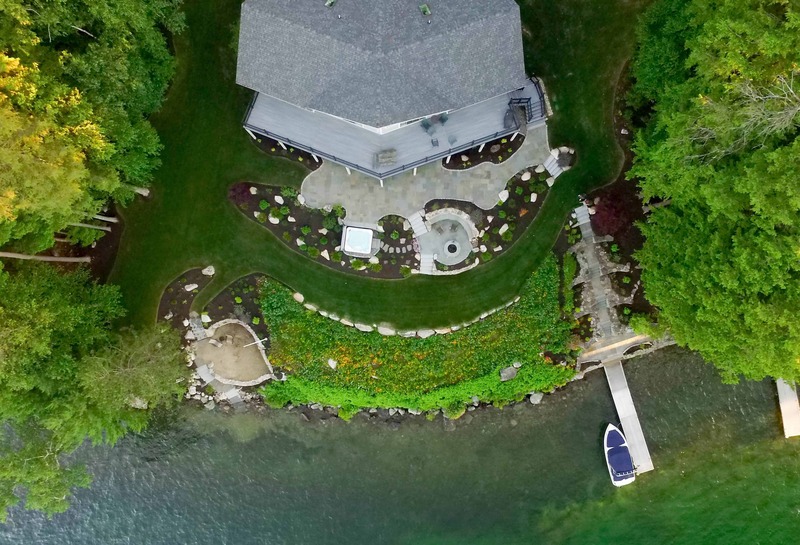 Sweeping views of Three Mile Island, Beaver Island and the Ossipee Mountain Range make this lake front escape one of the most spectacular properties on Lake Winnipesaukee. From the moment you enter this long, sloping property, you are greeted by panoramic views. Every design feature from the guest quarters over the detached garage to the large back deck off of the cottage style home, is positioned to enhance the breathtaking views of this property. 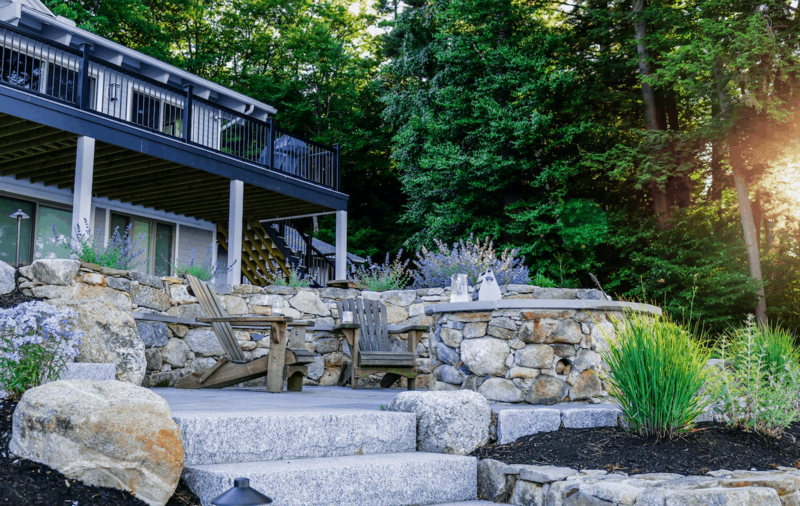 It was very important to the client that any changes to the landscape not interfere with the existing views, and that any new entertainment spaces created in the design capitalize on the natural beauty of this property. To achieve this, a large thermal bluestone patio was installed at the back entry of the home. 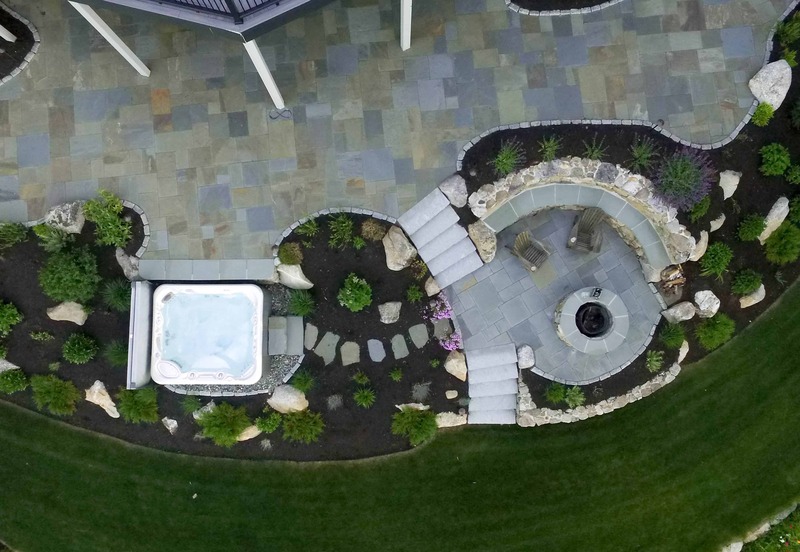 The patio is on-grade with the home, but is raised above the rest of the landscape to create an infinity like view from the basement level of the home. Just below the patio are more intimate options for entertaining and relaxing. 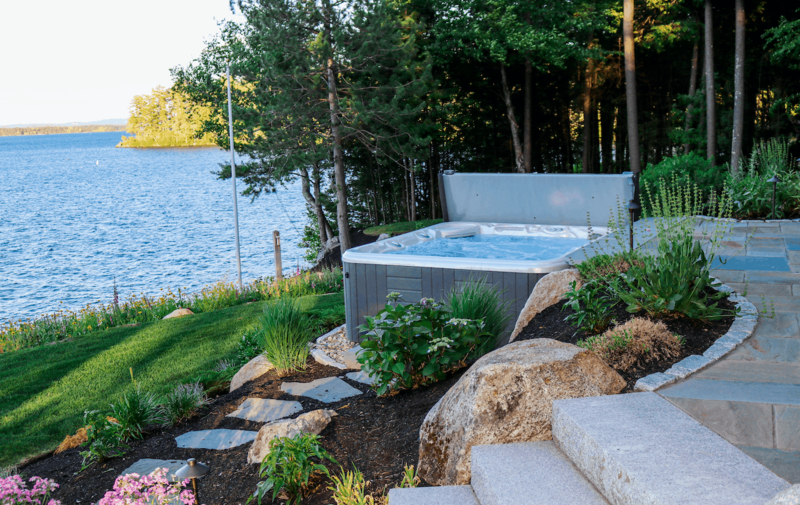 A hot tub nestled into the sloped retaining berm offers an infinity view of the picturesque back drop. 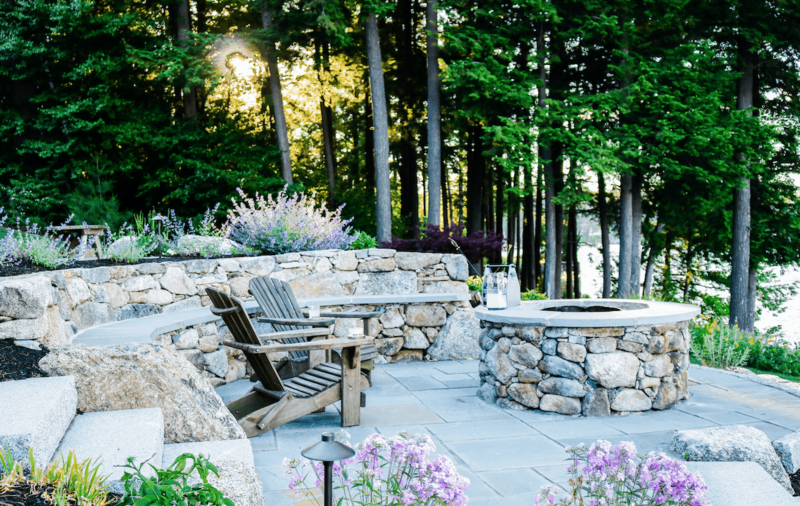 Directly to the left is a capped fire pit with a natural seating wall that offers the same expansive view. 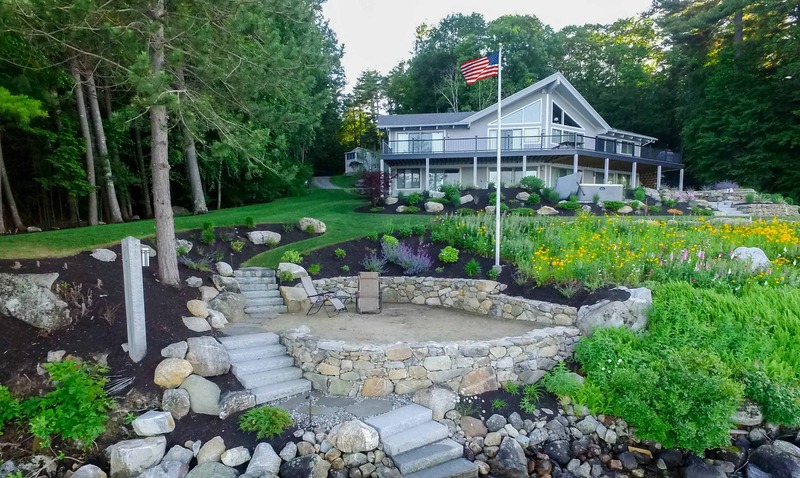 As you make your way down to the water, there is a perched beach, supported by beautiful fieldstone walls offering the opportunity for swimming. A wonderful palette of perennials and shrubs bring this landscape to life.